The purpose of a Columnar(NoPI) table is to spread the rows evenly across the AMPs. This is why a NoPI table is often used as a staging table. 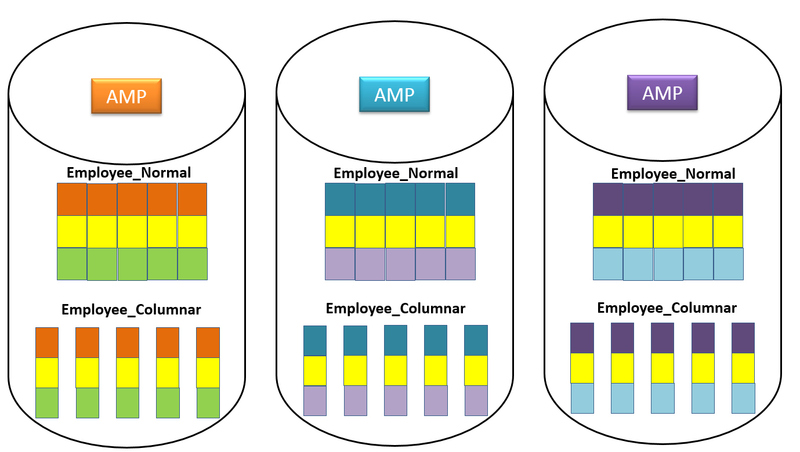 Columnar Tables must be a NoPI Table so No Primary Index (NoPI). The NoPI brings even distribution to the table. All Containers have the same amount of rows in the exact order. 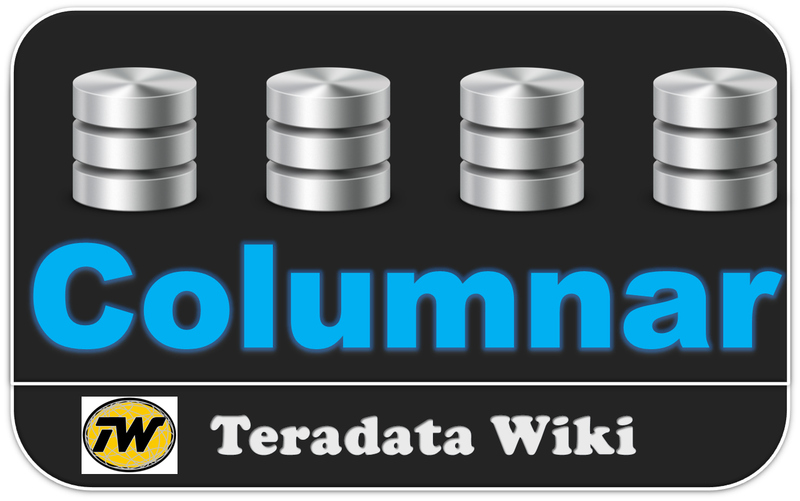 Single Columns or Multi-Columns can be placed inside containers. Each container looks like a small table for I/O purposes. Add up all the containers and you rebuild the row. Columnar Tables make sense when users query only certain columns. 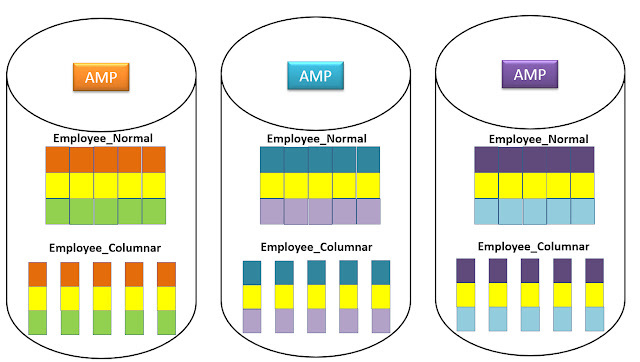 The two tables above contain the same Employee data, but one is a columnar table. Employee_Normal has placed 3 rows on each AMP with 5 columns. The other table Employee_Columnar has 5 Containers each with one column.